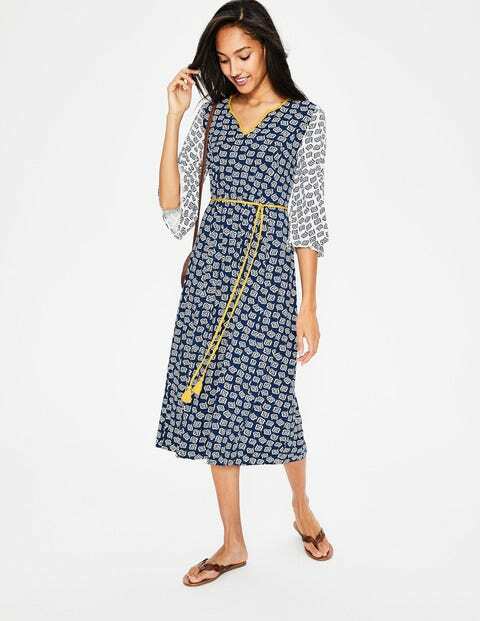 If the knockout hotchpotch print doesn't earn this boho midi dress a place in your suitcase, the relaxed, drapey fabric will. Kimono sleeves along with contrast detailing at the neck and waist elevate this design. Wear the tasselled belt loose around the pool or cinch it in for dinner under the stars.